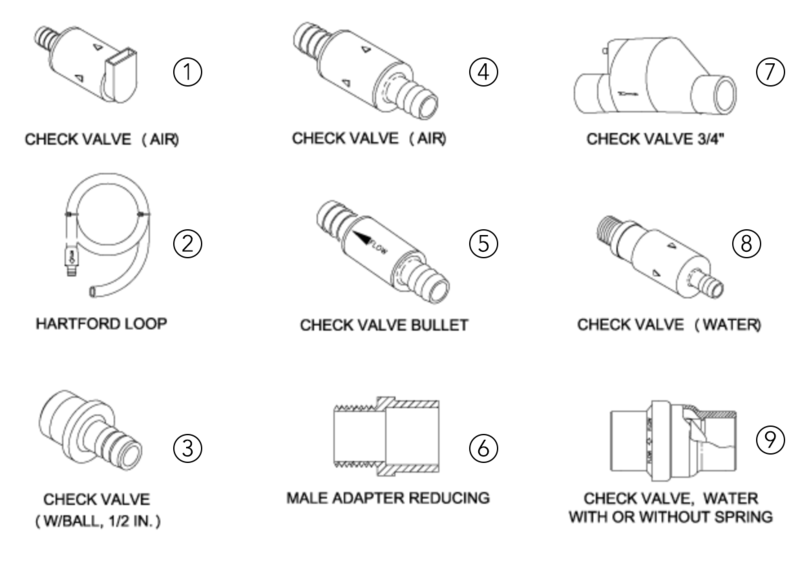 The air check valves are the air intake ports for the air that is supplied to the individual jets via the air valves. These valves are found in the equipment compartment, which is under the bartop. This valve's main function is to keep water from back flowing into the equipment compartment if the hydrotherapy jet gets blocked.